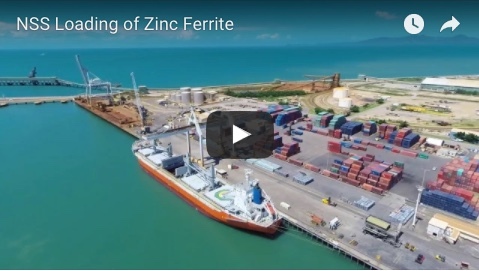 The 2009 Lloyd's List DCN Australian Shipping and Transport Awards which were held before a capacity crowd at the Wentworth Sofitel in Sydney last night saw local Townsville company, Northern Stevedoring Services (NSS) recognised in two categories for service excellence. NSS was acknowledged in the Maritime Services Award with ‘Runner-up’ which highlighted the regional supply chain management company’s dominance in the market and service excellence. General Manager, Todd Emmert was also recognised by the Australian Shipping and Transport industry receiving Runner Up in the individual award New Generation, which awards an individual who has achieved excellence in the industry. Rarely does a regional company get recognised in the transport and logistics industry so this achievement has been even more important to NSS’ list of accolades in the past 2 years. “It is particularly good to be recognised for the excellent work of NSS employees and for the significant operational changes that have been made within the past 18 months to increase efficiencies and safety,” confirmed New Generation Runner Up, Todd Emmert, General Manager, NSS. 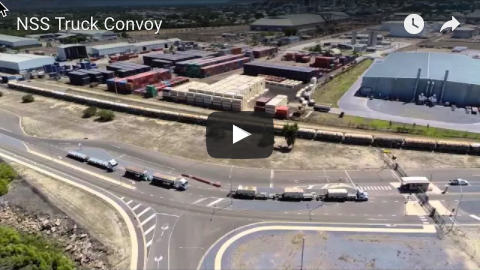 “NSS’ aim is to be regional Queensland’s most flexible and professional transport and logistics organisation and we believe we have achieved this. NSS has embarked on expansion into Gladstone and Weipa which have ensured that regional Queensland’s top ports all have a NSS presence. In addition, NSS has increased its service offerings to be an end to end supply chain management provider and in 2009 completed an acquisition of a labour and equipment hire business, S. Colbourne, to complement its existing service offerings. For more information, contact Jacob Scott on 03 9692 7600 or for a direct interview with Todd Emmert contact 0417 733 144.